The careless maintenance of property is usually more than what meets the eye! There are times where that negligence by property owners, and the failure to warn visitors of potential dangers can ultimately lead to accidents referred to as “slip-and-falls”or “trip-and-falls”. Victims of these accidents can often suffer traumatic injuries, with some of the most common being broken bones, soft-tissue damage, head trauma, and even spinal-cord damage. 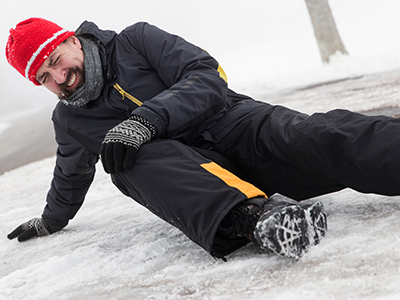 In the U.S., each year there are at least one million people who will suffer from a slip-and-fall injury, with 46% of those people being of older age. If you, or somebody you know was injured in an accident because a property owner failed to take action and warn you about a potential hazard, give us a call today at (212) 750-4949. 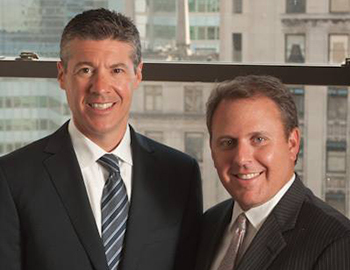 Essner & Kobin, LLP are a world renowned team of personal injury and medical malpractice attorneys, who provide strong representation to those who are in need. We believe that any victims, those unfairly injured due to others carelessness, are entitled to not only the justice – but the compensation, that they truly deserve. At Essner & Kobin, LLP – we don’t believe that a person’s wealth or intelligence should have anything to do with their right to justice; if you’ve been harmed, you deserve compensation. If big insurance companies are using your inexperience to keep your hard-earned money in their pockets, you deserve some experience and tenacity to fight and get it back. Founded in 2012, our firm exists simply to help you fight the bad guys, because we know that you can’t do it alone. You need people who know the system, the jargon, and the rules, so we can beat these corporations at their game, giving you the outcome that you truly deserve. For further details & information, please give us a call today at (212) 750-4949. There’s No Fees To Speak To Us About A Case! We Don’t Get Paid Unless We Win! © ESSNER&KOBIN,LLP. 2019 All Rights Reserved.